After a long wait and years of speculation, the much awaited Oculus Rift S headset has finally been unveiled today. The launch of the headset was shrouded in a lot of mystery and the update wasn’t even confirmed until today’s unveiling. 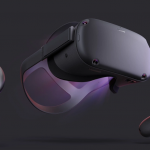 During the unveil, Oculus revealed lots of details about its new flagship next-generation PC-based headset along with its all-in-one VR gaming system and a host of new games for its virtual reality products. Oculus has repeatedly stated that the Rift S would be a modest “refresh” rather than a complete overhaul of its original Rift. So the scope of the changes is quite modest even though they cover key areas. The price is also fairly affordable and not as steeply-priced as the Vive Pro so it is fairly accessible for the average consumer. For a retail price of $399, the Rift S is priced at only $50 more than the original Rift price tag. So what are some of the improvements in the Rift S? For one, the Rift S headset will have Oculus’ new built-in “Insight” tracking technology consisting of five cameras embedded into the virtual reality headset and which are used for tracking the user’s head movements along with their location. This built-in tracking eliminates the need for external cameras and is different from the tracking system of the original Rift which consisted of two to three sensors placed around a room. The inside-out tracking means that users won’t have to grapple with lots of cumbersome cameras during setup to ensure full body movement. The cameras in the new Rift S headset will also activate a feature named “passthrough+” which allows a user to catch a glimpse of the happenings in the real world without having to remove their headset. The Rift S will also have a higher resolution. 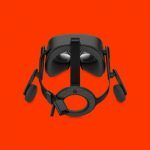 As has been rumored for months in various tech news sites, the device will be called Oculus Rift S. One surprising detail that was not known in the various press reports about the headset is that it has been developed in collaboration with the Chinese multinational technology company Lenovo so the design is radically different from that of the original Rift. Oculus chose to partner with Lenovo for the project to speed up the manufacturing and tap into Lenovo’s device manufacturing excellence and improve on the design of the original Oculus Rift. The Lenovo partnership has had a compelling effect on the design which is reflected in almost every part of the headset. The display is only a slight improvement over the original Rift whose poor display a bit outdated. 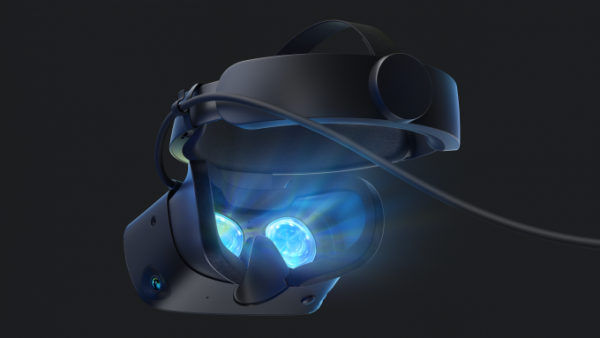 As predicted, the new VR headset will have a very high resolution of 2560 x 1440 or 1280 x 1440 per eye. The original Rift had a 2160 x 1200 OLED display with a 90Hz refresh rate and 110-degree field of view. In spite of the major improvement in the display, it’s not as crisp as that of the Oculus Quest which will have a total resolution of 2880 x 1600 or 1440 x 1600 per eye. The lenses have also been slightly improved and you won’t see a lot of light streaking. The pricing has also come with a twist. 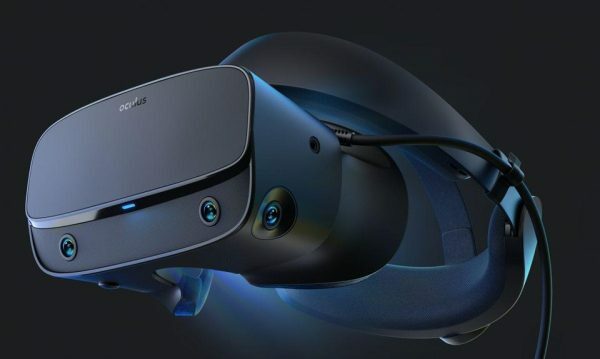 Earlier reports had indicated that the ‘Rift S’ would be more expensive that the Original Rift and the Quest but the device will actually have the same cost as the Quest at launch with both devices costing $399. This cost will cover everything including a similar pair of slightly modified Touch motion controllers along with an integrated audio system. Also included in the package will be a headphone jack for external audio. Given these sets of overlapping features, the choice between the Rift S and the Quest will be more about the user’s ability to procure the hardware to power the PC-grade virtual reality, rather any significant variation in design and performance between the two headsets. 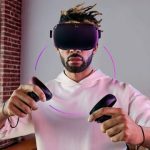 For those planning to purchase the Rift S, the decision on whether to acquire the headset will be determined by whether you have a PC or not or whether you are planning to acquire a PC for the headset or not. If you are a Quest user, you have a more casual setup as the headset is more like a console player. 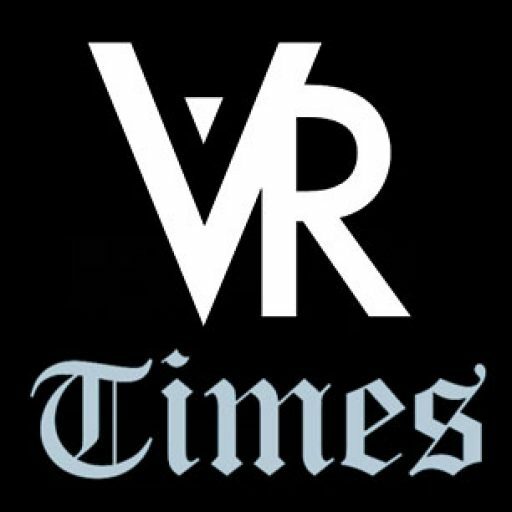 Oculus has also stated that all the current and future games on the Rift platform will also be playable on its next-generation Rift S. Oculus will also activate both cross-play and cross-buy features that will allow prospective users to purchase a Quest which they can later on upgrade to a Rift S without losing their library. Users will also be able to play one another in multiplayer games that are compatible with both the Quest and Rift platforms. The Passthrough Plus feature in the Rift S and Quest headsets is particularly helpful as it provides a means of viewing the real world as you are setting up your spaces with the Oculus Guardian tool, a blue mesh barrier that marks out the space and prevents the user from tripping or walking into objects. With the inside-out tracking in both headsets, users can easily toggle between the Oculus Home launcher and a live feed of their real-life surroundings. 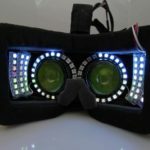 It simplifies other aspects of VR headset usage. For example, you can simply section off areas of your living room or bedroom for a VR experience using a Touch controller when wearing the headset instead of having to do it via a computer and a complex camera setup process like in the original Rift. The passthrough video capability was first introduced by Microsoft to its Windows Mixed Reality in 2018. Even after the unveiling, Oculus is yet to provide a concrete release date although it has stated that the product will ship this spring. There is a high likelihood that both headsets will be released on the same date. The headband design draws from the design VR and AR design trends of the past three years. Out goes the cloth straps of the original Rift and in comes a more rigid “halo” headband design which has a wheel on the back. This sliding wheel is currently the standard bicycle-helmet adjustment which is also found in other more recent devices such as the Vive Pro, Microsoft’s Holo Lens and Vive’s Deluxe Audio Strap. 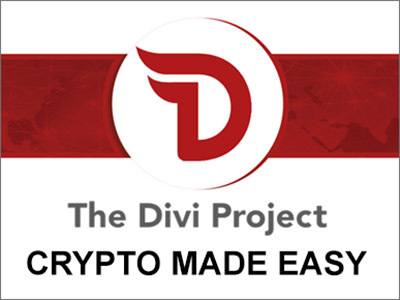 It is a design that is not only comfortable and convenient but one which also helps in offsetting the bulk of the device through an addition of a counterweight at the back of the headset. Another major design transformation is in the headphones where Oculus Rift S has ditched the fold-down headphones and adopted the in-strap speakers similar to the ones in the Quest. Comfort-wise, these headphones will apply less pressure on the ears. However, the wearer can also easily hear what’s going on outside the headset which could be problematic in crowded demo scenarios but it can be superb in less noisier settings. There is also a 3.5mm jack for use if you wish to plug in your headphones. Design-wise, the Oculus Rift S ill have both Lenovo and Oculus branding. There will also be a halo-type strap similar to the one found in the PlayStation VR headset. The halo strap will also give the wearer a more comfortable fit and allows the wearer the leeway to dial the headset forward or backward with a knob at the rear end of the band. The top strap will make the device fit snugly onto your head. 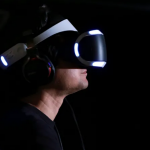 There is also a slider beneath positioned on the right side of the headset adjust the distance of the physical lenses from the eyes, bringing them either closer or farther from the eyes. The papillary distance can now be adjusted via a software setting instead of manually. 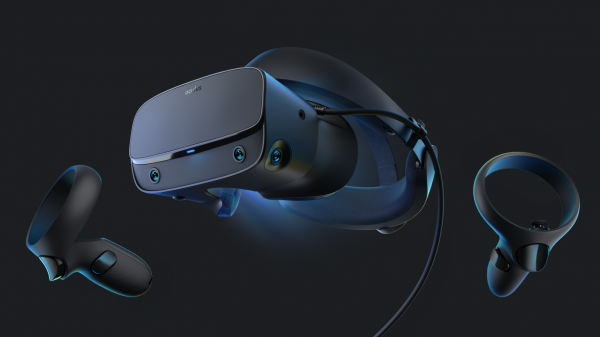 Apart from its ultra-high resolution and the halo straps, the new Rift S headset will also feature an extra fifth sensor that is not available in the Oculus Quest. This extra sensor will boost the tracking volume and also help maximize the compatibility with the content library in the existing library. 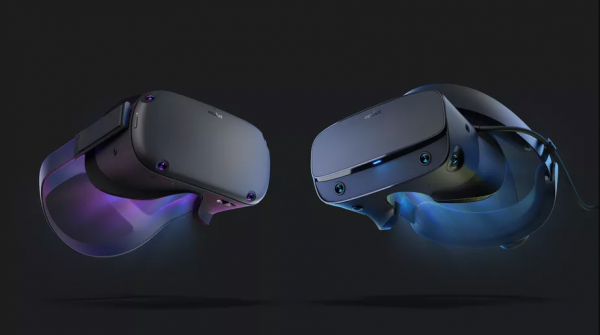 However, the main different between the Oculus Rift S and the original Rift is that the latest update will have built-in tracking and higher resolution compared to its legacy counterpart. While the standard Rift has a resolution of 1080 x 1200 per eye, the Rift S has a resolution of 1280 x 1440 per eye. The Quest has a much higher resolution of 1600 x 1440 per eye with the OLED panel. The Rift S headset is, in fact, utilizing a similar fast-switch LCD display as the one used in the standalone in the Oculus Go headset. Its particular edge is that it’s able to channel higher fidelity visuals than the Oculus headset due to the tethered high-end gaming PC that it needs to run. It’s a PC-based headset. Oculus however wants to roll out the Rift S without putting stringent requirements on Rift users to upgrade the PCs to meet the desired specs. Users can therefore transition seamlessly without having to purchase a new PC. The aim is to deliver the Rift S experience with minimum specs requirements for the PC-grade virtual reality experience. To realize this minimum-spec requirement, Oculus will be reducing the refresh rate to 80Hz from 90Hz. This small trade-off still keeps it in line with the Rift S requirements. With the launch of the Rift S, Oculus is also planning to start the phasing out of its original Rift which has been in the market for the past three years without a sequel. The transition from the original Rift to the Rift S will fairly be a smooth one thanks to the cross-buy and cross-play features that Oculus has included in its latest iteration of the headset. The only bottleneck for the company will be the approvals process for Rift vis-à-vis Quest. So far, the company has only requested developer proposals for its Quest headset. Rift users will still continue to self-publish. Oculus says it has introduced these changes as a quality measure and they also reflect the differing designs of the two headsets which will have an impact on usability. PC users, naturally, will want to try out plenty of new stuff while the Quest users will be expecting a VR experience that is more controlled. Apart from the developer-side differences between the two headsets, Oculus will avail more of the same titles on both platforms during its launch this spring. While the Oculus Rift S is still not at the level of the Vive Pro, it’s still an impressive piece of hardware for the average user. If you already have a powerful PC and don’t mind using your headset while tethered to it, then this headset will be your best bet for now. Oculus has added some nice improvements over the original Rift and for the price of $399 it’s definitely a worthwhile investment.